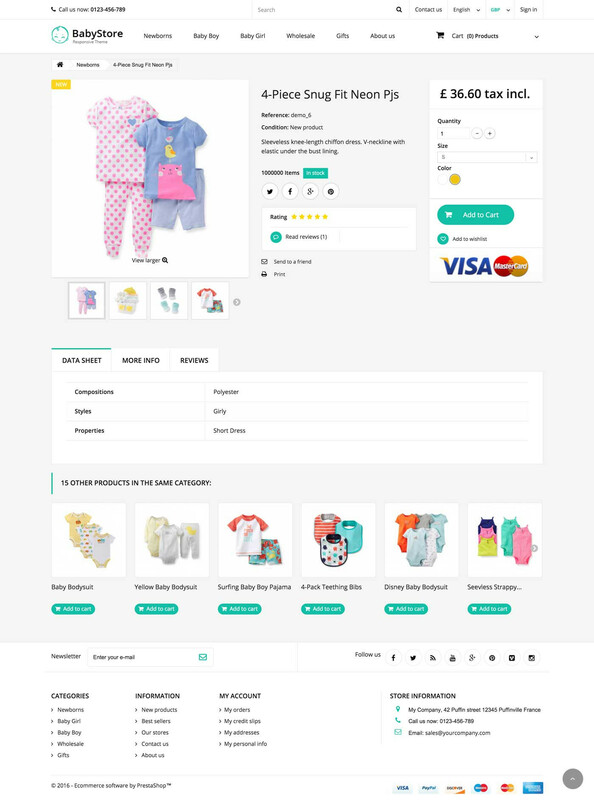 Prestashop theme for baby-oriented businesses that will mesmerize every parent that visits your store. 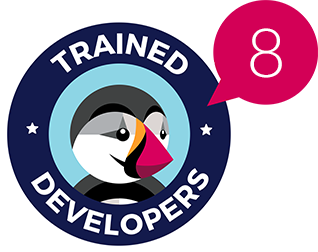 Light, responsive, cute. Even before a baby is born, future parents start thinking about how amazing it would be to shop for tiny little clothes and find the most beautiful garments for their children. 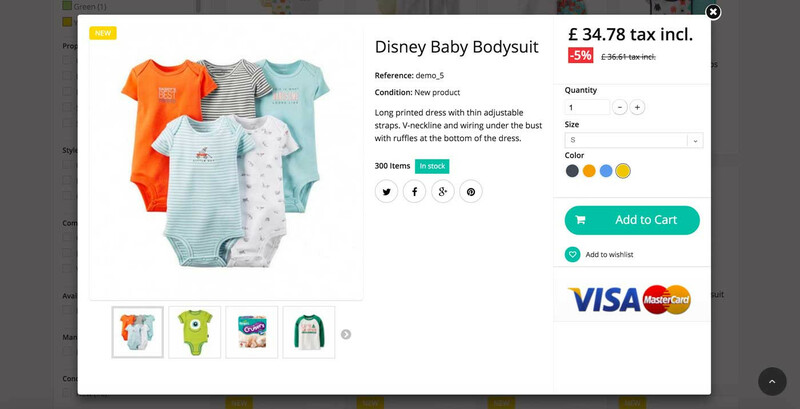 We created the theme to give parents an opportunity to have a wonderful experience of shopping for baby clothes. 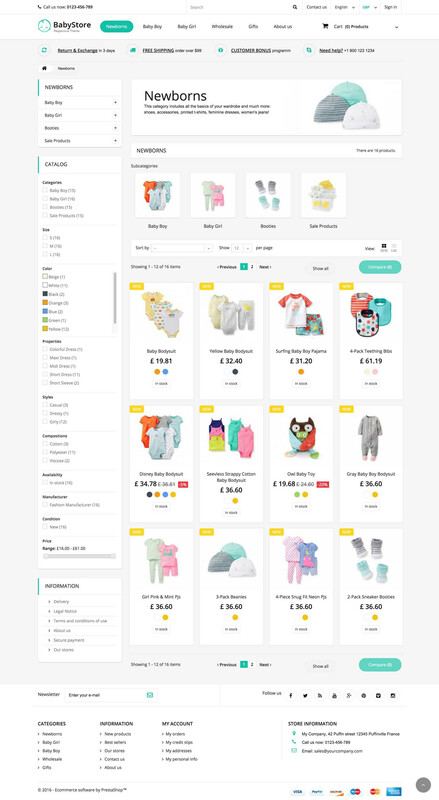 Baby Store is a Prestashop theme suitable for businesses that sell things for children. The theme will mesmerize parents by its cleanness and lightness. 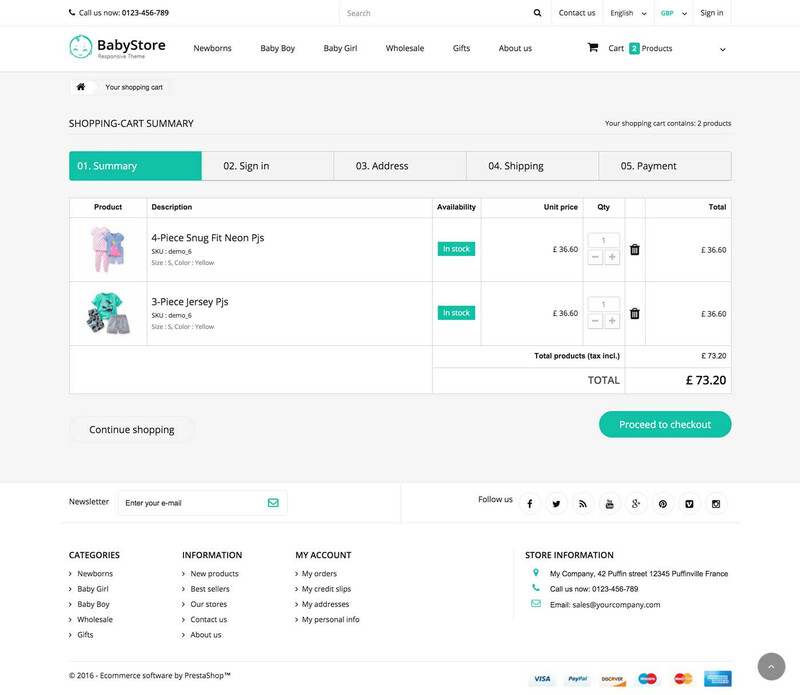 Customizable by its nature, Baby Store Responsive Prestashop 1.6 Theme is a real catch for baby-oriented businesses. After you install the theme, every parent that visits your store, will not be able to pass by without thinking about purchasing something for the wonderful creature that the mother nature has given them. Bright layout, balanced colors, cute menu and easy navigation in catalog page. The theme is responsive and compatible with all available mobile devices. This theme is what the baby-business niche actually needs.